eSignatures are emerging as the preferred alternative to wet signatures. 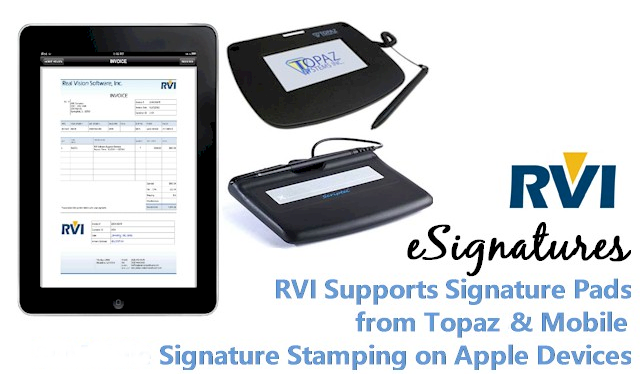 RVI supports signature pad devices from Topaz and stored signatures can be stamped as part of an established workflow. Mobile signature stamping is supported for Apple devices with the RVI mobile app. We are currently testing a promising new table / software option from Signotec which will allow signatures to be added to fully displayed PDF documents.